Property Location With a stay at INOUT Hostel Barcelona in Barcelona, you'll be convenient to Torre de Collserola and CosmoCaixa. This hostel is within close proximity of Church of the Sacred Heart and Tibidabo Amusement Park.Rooms Make yourself at home in one of the 27 guestrooms. Bathrooms with showers are provided. Conveniences include safes and desks, and housekeeping is provided daily.Rec, Spa, Premium Amenities Don't miss out on the many recreational opportunities, including a nightclub, an outdoor pool, and a 24-hour fitness center. Additional amenities include complimentary wireless Internet access, concierge services, and supervised childcare/activities.Dining Satisfy your appetite at the hostel's restaurant, which features a bar. Dining is also available at 2 coffee shops/cafés. 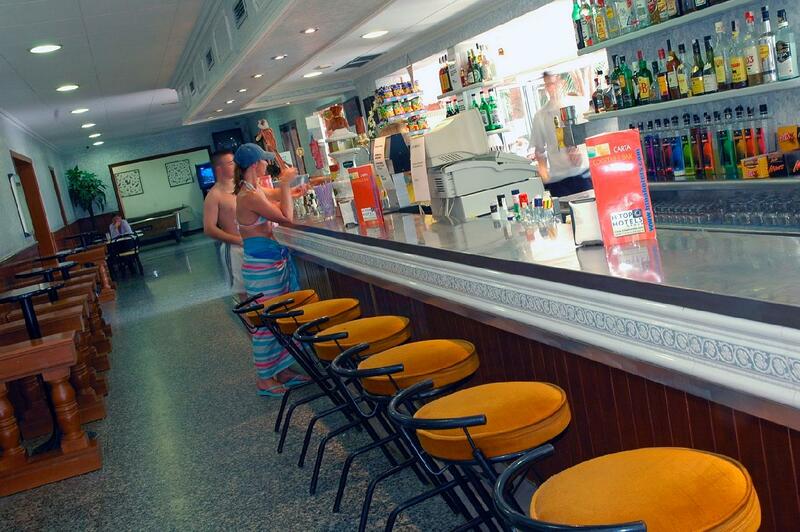 Relax with a refreshing drink from a poolside bar or one of the 4 bars/lounges. For your convenience, a complimentary breakfast is served daily.Business, Other Amenities Featured amenities include a 24-hour business center, a computer station, and complimentary newspapers in the lobby. Planning an event in Barcelona? This hostel has 538 square feet (50 square meters) of space consisting of conference space and meeting rooms. Free self parking is available onsite. 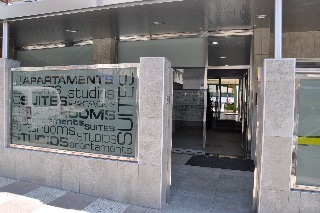 Property Location Located in Barcelona (Les Corts), Barcelona Pere Tarrés Hostel is minutes from L’Illa Diagonal Mall and AXA Auditorium and Convention Center. This hostel is close to Casa Batllo and Palau de la Musica Catalana.Rooms Make yourself at home in one of the 47 air-conditioned guestrooms. Complimentary wireless Internet access is available to keep you connected. Bathrooms with showers are provided. Conveniences include blackout drapes/curtains, and housekeeping is provided daily.Rec, Spa, Premium Amenities Make use of convenient amenities such as complimentary wireless Internet access, tour/ticket assistance, and complimentary use of a nearby fitness facility.Dining Enjoy a satisfying meal at a restaurant serving guests of Barcelona Pere Tarrés Hostel. A complimentary continental breakfast is served daily.Business, Other Amenities Featured amenities include a 24-hour front desk, multilingual staff, and luggage storage. Self parking (subject to charges) is available onsite. Property Location With a stay at Mont-Rosa Hotel in Calella, you'll be on the beach and minutes from Calella Beach, and close to St. Jaume Hospital. 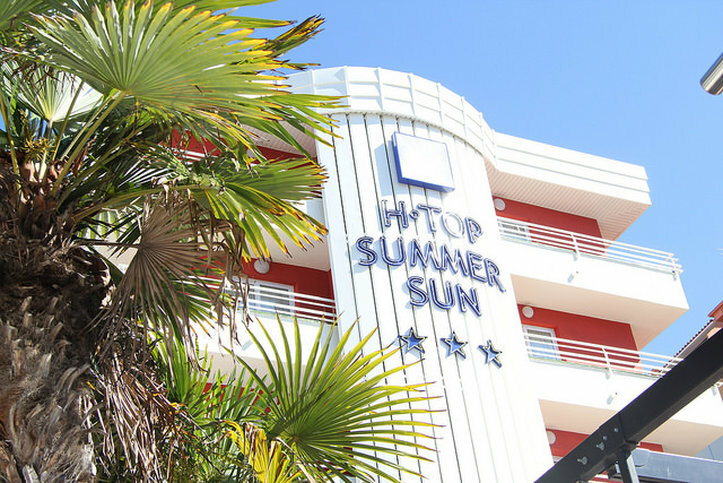 This beach hotel is within close proximity of Pineda de Mar Beach and Pau Casals Plaza.Rooms Make yourself at home in one of the 156 air-conditioned guestrooms. Satellite television is provided for your entertainment. Conveniences include phones, and housekeeping is provided daily.Rec, Spa, Premium Amenities Enjoy the recreation opportunities such as an outdoor pool or make use of other amenities including tour/ticket assistance.Dining Enjoy a satisfying meal at a restaurant serving guests of Mont-Rosa Hotel. Quench your thirst with your favorite drink at a bar/lounge.Business, Other Amenities Featured amenities include high-speed (wired) Internet access (surcharge), a 24-hour front desk, and laundry facilities. Self parking (subject to charges) is available onsite. The hotel is located 100 m from the center of Calella, 200 meters from the beach and train station. It features an outdoor pool, children's swimming area and a games room. This hotel is ideal for couples and groups of friends. The Girona-Costa Brava is located at a distance of approximately 40 km and Barcelona airport is approximately 72 km.From the date of: 31/10/2012 City Tax 0,50 Eur. per person per night for adults over 16 years old, to be paid directly upon check-in (maximum 7 nights per person). 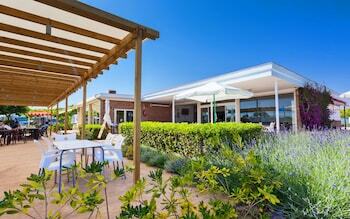 This hotel is situated in the resort area of Calella village, on the Maresme coast. It is just 250 m from the village's main beach. The hotel's immediate vicinity includes bars, pubs and nightspots, and shopping venues are some 800 m away. Girona-Costa Brava Airport and Barcelona International Airport are 44 km and 72 km away respectively.This beach hotel was refurbished in 2008, a process which set out to improve and expand all the very latest services, while adding the option of all-inclusive stays. Guests are welcomed into the hotel lobby at this air-conditioned establishment, which features a 24-hour reception service, lift access, currency exchange facilities and a hotel safe. Further facilities include a restaurant, a café, a bar and a TV lounge. Internet access are provided for a fee and a car park and garage parking (fees apply) are available to guests arriving by car. A children's playground and a kids' club will keep younger guests entertained.In addition to a fully equipped private bathroom with a bathtub/shower, standard rooms feature a direct dial telephone, a safe and individually regulated air conditioning and heating units. Further amenities include a satellite/cable TV and a pleasant terrace.The hotel entertainment team offers an excellent daily activity plan featuring sports and games: running, football on the beach, beach volleyball and hill trekking are just some of the activities available. 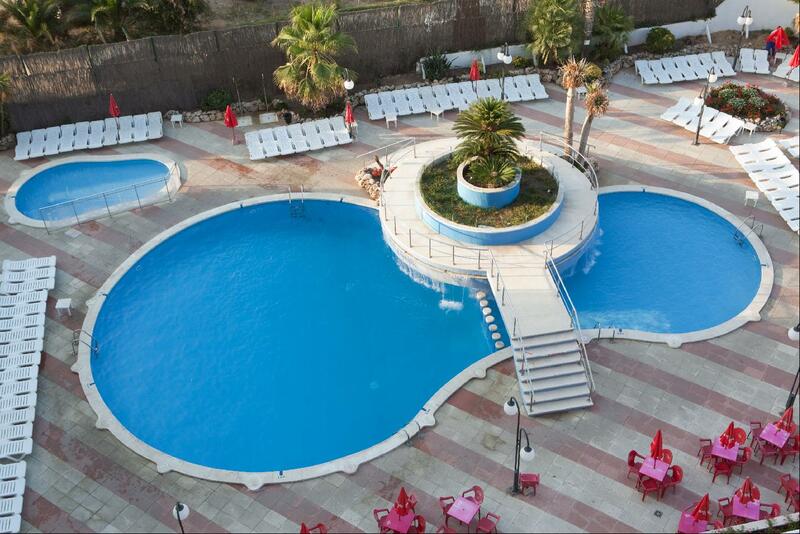 In the hotel grounds there is a large and comfortable pool area with a children's section and 2 hot tubs, as well as sun loungers and parasols and a poolside snack bar. Alternatively guests can participate in aqua aerobics classes, enjoy a workout at the hotel gym or work on their tans on the sun terrace. Further sporting options include pool/snooker. A children's entertainment programme ensures that younger guests are kept busy.A buffet breakfast is served each day. A buffet service also features for midday and evening meals.From the date of: 31/10/2012 City Tax 0,50 Eur. per person per night for adults over 16 years old, to be paid directly upon check-in (maximum 7 nights per person).